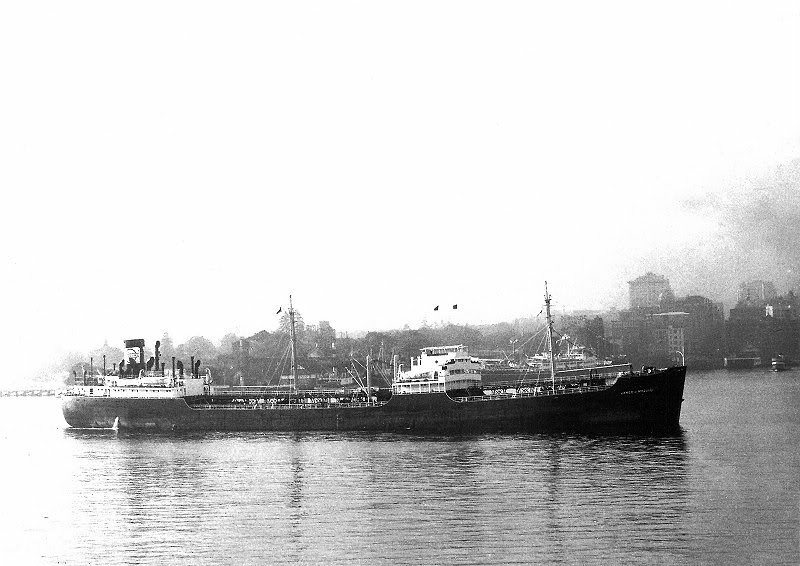 1953 "Stanvac Nairobi", 16450 DWT. Scrapped at Innoshima 25.09.1962. 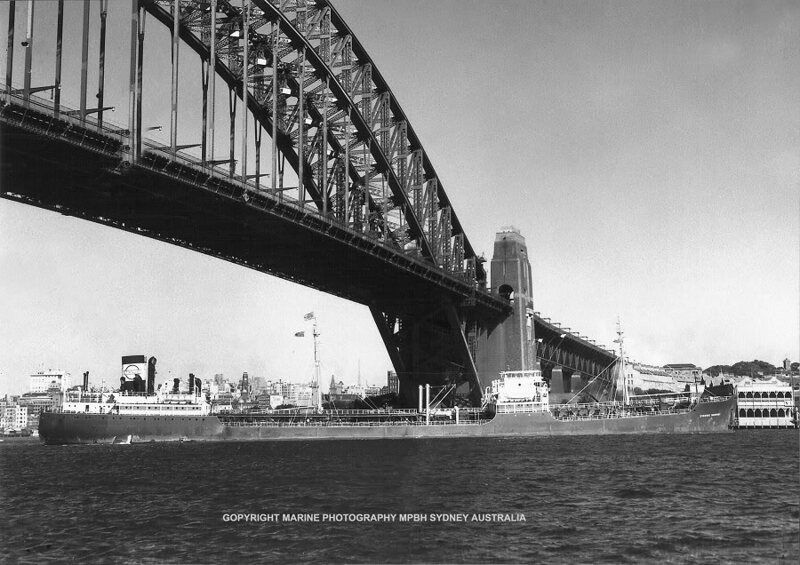 "Stanvac Nairobi", once again shot passing under the Sydney Harbour Bridge, back in the late 1940's. 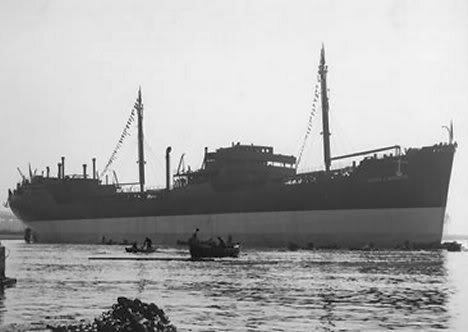 Broken up at Innoshima 1962 by Sangyo Shinko K.K., delivered. 25.09.1962. 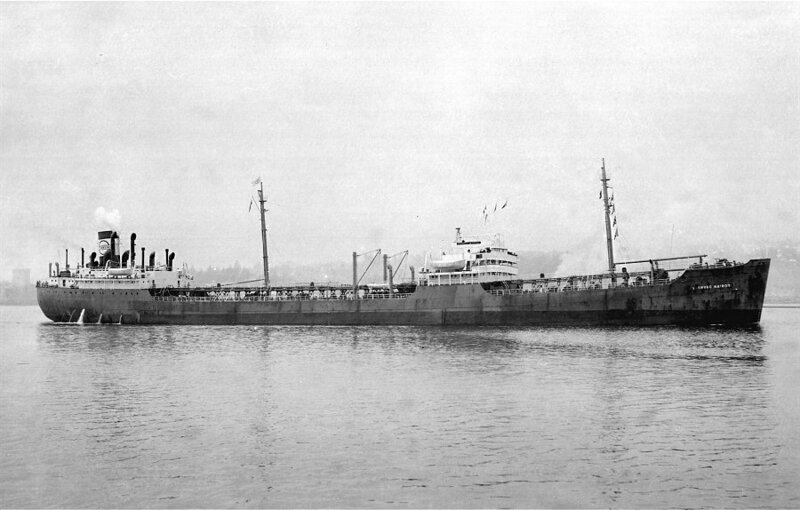 The Miramar Ship Index for "JAMES J. MAGUIRE"
[ 1953 Lg 160.7 mtr, 11643grt ] - 1953 STANVAC NAIROBI. Oriental Trade & Transport Co., Ltd.
STANDARD VACUUM TRANSPORTATION CO. LTD.